Step into Justina Blakeney’s East L.A. offices, and you might just feel as if you’ve been transported to Tulum’s latest hot spot. The brand-new 1000-square-foot space is home to Blakeney’s rapidly growing brand, The Jungalow. Once an up-and-coming home décor blog, The Jungalow’s roaring success has catapulted the household name into a best-selling book, a design studio, and now the newly launched Justina Blakeney Home, a bohemian lifestyle brand featuring everything from pillows to wallpaper to wedding stationery—and the designer tells us there’s more to come. Naturally, this prolific entrepreneur and mother needed a creative space to house her rapidly expanding brand—and she recently found it in L.A.’s Frogtown neighborhood, right around the corner from her own “jungalow.” Blakeney recently gave us an exclusive look into her new and improved workspace. 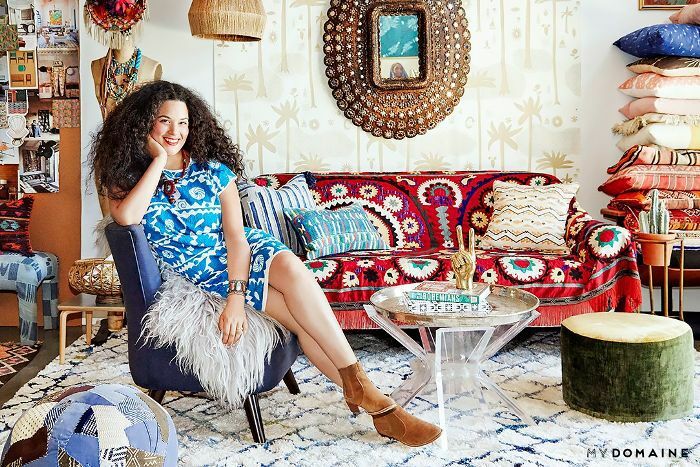 Take the tour—this wild and colourful bohemian workspace will make you want to make over your own office space. “I love that the front door opens all the way so that in the warmer months, we can open up the space and feel like we’re working outdoors,” Blakeney says about her favourite feature of the new office. She doesn’t seem to mind the short commute either. Blakeney, who moved into the space last September, is only now getting a taste of the warmer months to come. The modern creative space in northeast L.A. is so new that the architects are still adding onto the building regularly. “The landscaping went in last week, and it made a huge difference,” the designer tells us. Blakeney’s new rug collection for Loloi is prominently featured in the front windows. The collection is comprised of two lines, Folklore and Fable. “The Folklore collection is inspired by Beni Ourain rugs, but we wanted to add colour to the designs, which are often only found in black on white,” says the designer. The second collection was inspired by modern shag rugs of the 1970s, and Turkish Tulu rugs, Blakeney explains. The space needed to not only accommodate a slew of projects and endeavours, but also a growing team. “In our last studio, everyone worked from a big table, but that wasn’t sustainable,” Blakeney says. The new space, built last year, also houses five other creative businesses, and a recently opened sandwich shop called Wax Paper. In true Jungalow fashion, the space is brimming with exotic colours, textures, and patterns, much of it stemming from The Jungalow’s multiple collections. The rest is a result of Blakeney’s love for thrifting. 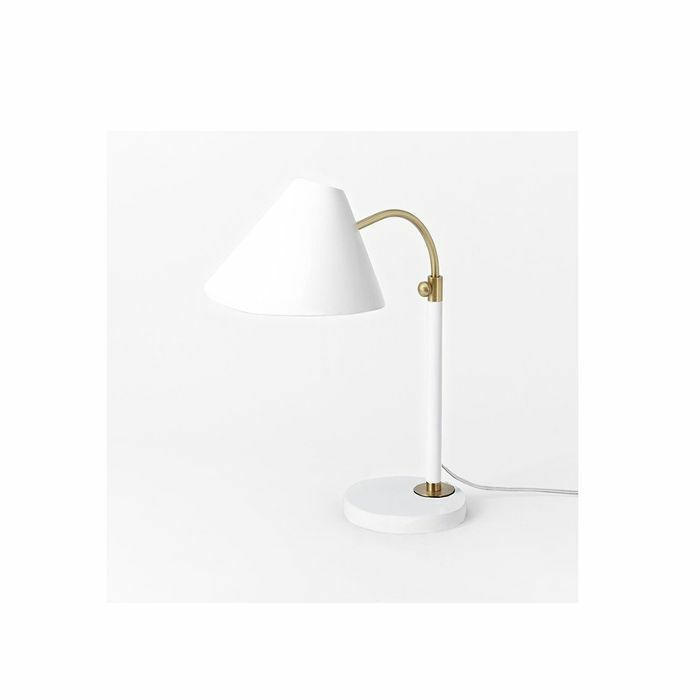 Artwork was sourced at the Long Beach Flea Market, a white-and-brass midcentury lamp was picked up from a thrift shop, and an African mask was unearthed at the Rose Bowl Flea. Other vintage finds underwent quite the transformation. Blakeney and her team bought a large Mexican hutch on Craigslist and painted it a vibrant emerald green. The lucite base of a coffee table was picked up curbside and topped with a Pottery Barn tray. The space is constantly evolving, as it’s being used for multiple projects, from shooting stories for The Jungalow blog to designing furniture lines and meeting with partners. “The only spaces that remain constant are my desk and the storage area,” says Blakeney. So what does a typical day look like in The Jungalow offices? “Every day is day is different here!” shares the designer. “Some days—my favourite days—I spend designing anything from new surface patterns for fabrics and wallpapers, or coming up with new designs for our furniture line.” This involves a lot of drawing and painting, a task which she clearly excels. When she’s not designing, Blakeney spend a good amount of time working on stories for the blog. “Whether it's writing a story about a kitchen overhaul or styling a story about eight ways to use indigo in your home, we are constantly moving things around and using every inch of this space!” she says. “We also have meetings here with licensing partners and blog contributors. We create and ideate content for all of our social channels. We style lookbooks and design everything from stationery to sectionals from right here.” With the number of projects running daily in The Jungalow offices, it’s no wonder the space needs to remain multifunctional and ever-changing. Every day is different in The Jungalow studio, and Blakeney tells us her biggest challenge is keeping blank wall space for photo shoots. “We always end up having to shuffle things around each time we’re setting up for a new story,” she says. The Jungalow is not the reference in all things bohemian for nothing: The office is a veritable treasure trove of textiles, pottery, and artifacts from around the world. Blakeney credits her carefree California upbringing, her multiethnic family, and her extensive travels for her boho-chic aesthetic. Between all her projects, it’s not surprising that the designer requires to constantly be visually inspired. This year, she will have launched a rug and pillow collection with Loloi, a wallpaper line with Hygge & West, stationery with Wedding Paper Divas, and an upcoming furniture line in collaboration with the jungalicious brand Selamat. “It will include everything from storage units to peacock chairs,” says the designer, who is also working on another book. So how does she balance it all? Blakeney credits surrounding herself with amazing people—notably her husband, who stays at home with their daughter, Ida, while she runs all aspects of her business. 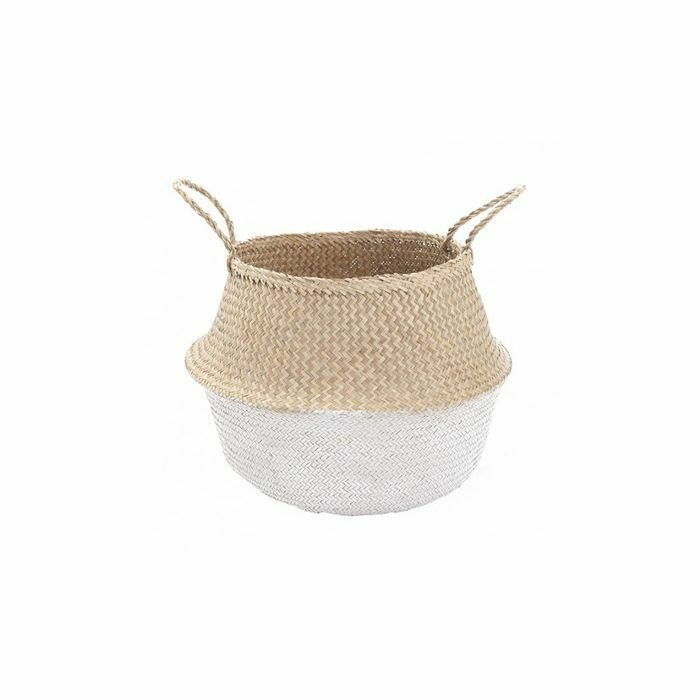 “By 2017, you will be able to decorate your whole home with products coming out of the Justina Blakeney design studio—which is a total dream for me,” excitedly shares the designer. 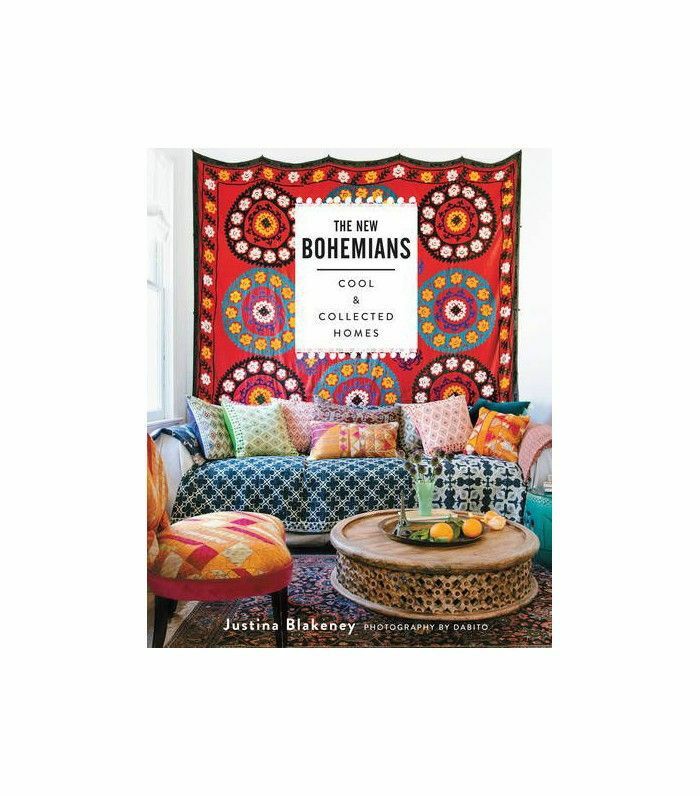 Considering the success of her New York Times best-selling book, The New Bohemians, and her gorgeous new lines of rugs, pillows, and wallpaper, we cannot wait to see what’s next for The Jungalow.